Stay on top of the latest tech with PCWorld’s Digital Magazine. Available as single copies or as a monthly subscription, it highlights the best content from PCWorld.com—the most important news, the key product reviews, and the most useful features and how-to stories—in a curated Digital Magazine for Android and iOS, as well for the desktop and other tablet readers. On the cover of the December issue is our review of the Google Pixel 3 XL, where Google is winning the game by rewriting the rules. If you value your privacy in the digital age, you can read about how free' Wi-Fi hotspots can track your location even when you aren't connected, and what you can do to prevent it. Watch: We all love arguing AMD vs. Intel, and AMD vs. Nvidia. We tested two Acer Predator Helios 500 gaming laptops: one with Intel CPU and Nvidia GPU, and the other with all-AMD. Finally, we can decide which configuration makes the better high-performance PC. 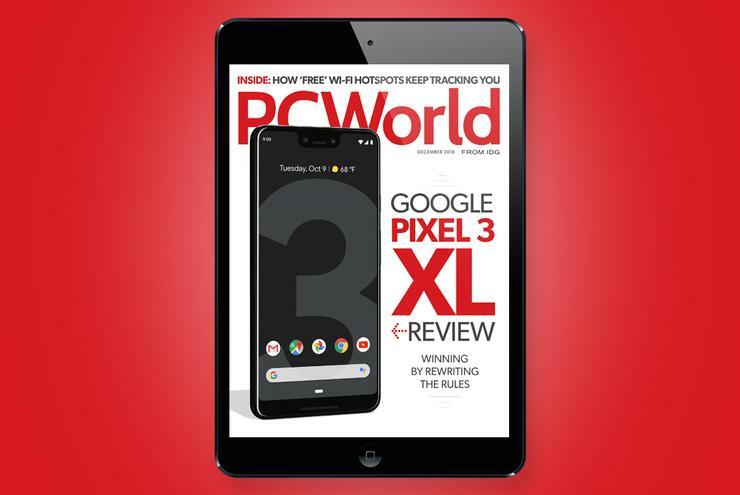 Subscribers can visit this page to learn how to access PCWorld on any device and start reading the current issue right away. Subscribers: Update your PCWorld app to the latest version today! Not a subscriber? With the PCWorld's subscription, you get access to the digital magazine on as many devices as you’d like. Subscribe today!